Abstract: LED warehouse lighting offers exceptional levels of energy efficiency. LED high bay lights have superior controllability, durability and reliability, making it particularly attractive for industrial lighting applications. 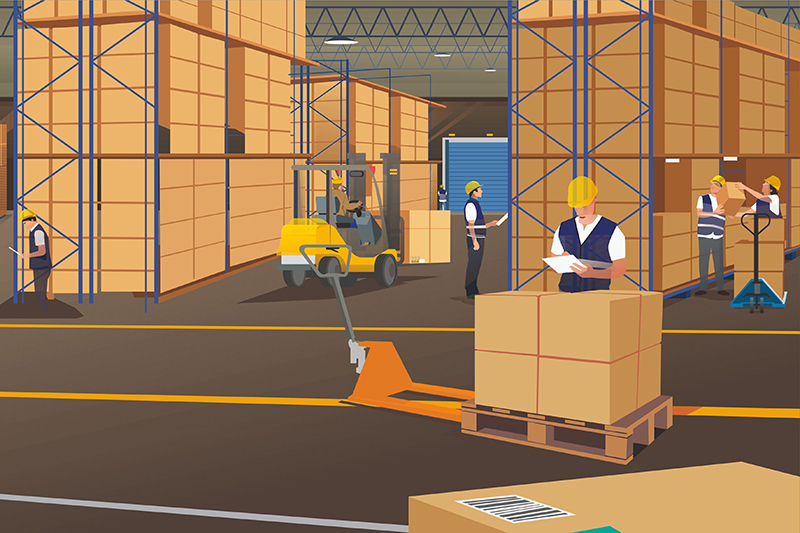 Warehouses are a major component of any business logistics system which has evolved due to the increasing complexity of functionality with multiple tasks performed within the voluminous space, such as logistics, packaging, labeling, order picking, shipping and receiving, light assembly and desk work. In today's dynamic business environment, warehousing facility management has become a highly specialized operation for manufacturers, wholesalers, retailers, importers, exporters, courier services, transportation and logistics companies. As an important component of any business logistics system, warehouse lighting plays an integral role in maintaining tight control of operational costs and task productivity. Industrial warehouses, logistics buildings and commercial distribution centers fulfil highly diverse inbound and outbound processing activities and therefore place very specific and challenging demands on lighting solutions to reduce operating costs while increasing efficiency. A well-designed lighting system that is equipped with highly efficient light fixtures is essential in a warehouse to promote worker visibility, productivity and safety. To develop warehouse lighting solutions that meet performance requirement, operation and maintenance criteria, a robust set of quantitative values and qualitative variables must be considered. Industrial warehouse spaces have large geometries where rack systems aligned substantially parallel to one another are frequently used to maximize the available storage space for minimize storage costs. The fixed racking storage systems may range from 1-4 m (3-12 ft) wide and from 2.5-9 m (8 to 30 ft) high. While the high rise shelving systems where storage bins may be rotated so that unused bins are kept high up, and with storage levels rising to over 30.5 m (100ft). Confined spatial conditions and tall narrow aisles often pose challenging lighting conditions that require homogeneous illumination and high vertical illuminance for the optimal recognition of stocked goods from all viewing angles. Warehouse applications present a number of different types of visual tasks, including reading labels on aisles, bins and products; Sorting and picking merchandise either by hand or using a forklift; performing light assembly and labeling of stocked products; and reading paperwork or keypad entries. These multiple tasks make lighting design a challenge because the nature of the storage area determines the task plane and appropriate task lighting is critical for workers to safely, efficiently and accurately perform predominant visual tasks. Achieving proper task visibility require sufficient illuminance (or light level), enough contrast and color difference. Visual comfort considerations that involve discomfort glare, overhead glare and flicker are decisive for the task performance and workplace safety. Maintaining tight energy budget can mean a huge difference between profit and loss in today's competitive global warehousing and logistics market. Industrial warehouse spaces such as open storage facilities and high rack buildings typically span vast areas. A plurality of lights are installed to provide illumination over a spacious coverage. Warehouses are generally high bay facilities where the ceilings can be 30-40 feet high. At such heights, ware lighting fixtures are required to provide increased luminance with an intensity distribution appropriate to the aisle width and stack height. Warehouse luminaires are typically designed to operate at a few hundred watts in order to provide sufficient quantity of luminance. Depending on the industry, warehouse lights operate between 10 and 18 hours per day. The excessive luminaire installations, high power consumption and long operation time make warehouses energy intensive buildings with lighting accounting for up to two-thirds of electricity costs. In addition to excessive energy consumption, the expensive lighting maintenance is another major component of lifecyle cost for warehouse lighting systems and should be factored in with energy costs as the facility's total operating expenditures. Maintenance costs are those associated with the ongoing management and maintenance of lighting systems over their lifetime. As warehouses grow more automated and sophisticated, their lighting requirement becomes more demanding and leaves facility managers with challenges to find lighting systems which are economically practical, functionally reliable and easy to maintain. A variety of warehouse areas and storage facilities requiring specific tasks may occur in warehouse usage. Open storage warehouses are open space storage areas without using rack systems and generally place storage on the floor and on pallets, which may be stacked on each other. Open storage areas often use general area lighting fixtures that offer a balance of vertical and horizontal illumination. High rise storage facilities are generally automated, where storage bins may be rotated so that unused bins are kept high up. Warehouses with fixed rack systems are high-capacity shelving storages that have a plurality of racks spaced to form aisles between adjacent racks. Preferably, the light sources for high rise and rack systems are linear, the length of each linear lighting approximately equals the length of the aisle above which the light fixtures are mounted. Mobile racking storage system is a space saving and cost effective alternative to fixed pallet racking applications in which entire blocks of racking move on floor-mounted rails to open and close aisles as needed. The high-density storage solution that makes optimal use of the available space typically employs intelligent lighting systems to automatically turn on the light when an aisle opens. Cold storage facilities call for lighting fixtures with higher protection ratings are mandatory in cold stores with constant performance even at low temperatures. The need for lighting large storage areas has led to the development of a range of high bay and low bay lights which found their name from frame construction structures depending on the distance from the warehouse light fixture to the area to be lit. Many industrial buildings are constructed from skeletal frameworks to form an interior subspace called a "bay". In the lighting industry, the term bay refers almost any large interior area to be illuminated. High bay lighting applications are those lighting installations designed for use in industrial and commercial facilities with high ceilings, or high bay architectural structures such as warehouses, gymnasiums, manufacturing facilities, parking structures, big-box stores, transportation garages, or the like where the ceilings can be 25-40 feet high. The Illuminating Engineering Society of North America (IESNA) categorizes low bay luminaires are those designed for installations where the ceiling heights are less than 25 feet. As can be expected from the growing demand, a variety of low and high bay lights with different light sources, form factors, light patterns, connector configurations have been developed for different warehouse lighting applications. Conventional high bay and low bay light fixtures utilize high-intensity discharge (HID) lamps which produce light by creating an electric arc that flows between two tungsten electrodes housed inside a translucent or transparent arc tube. HID lighting fixtures, such as mercury vapor, high-pressure sodium, metal halide lamps have been widely used in warehouse lighting due to their extreme amount of output of light. 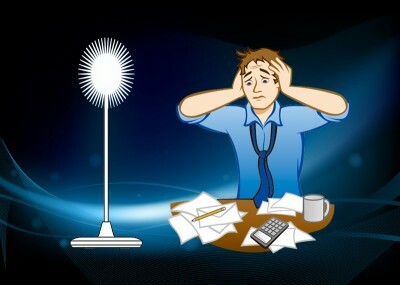 However, HID lighting has inherent disadvantages such as excessive energy consumption, poor color rendition, unsatisfactory lamp lumen depreciation (LLD), susceptibility to damage from shocks and vibration, no choice of color temperatures, high optical loss, limited dimming capabilities in terms of timing and range, and a lack of high efficiency electronic ballasts to power the HID light sources. An alternative to standard HID lamp for warehouse lighting is fluorescent lamps which emit diffuse light from long glass tubes. The drawback with the traditional linear fluorescent lamps is their high power consumption, short life expectancy, the large quantity of luminaries required to light a large area, which increases the initial installation costs, and poor light output quality in terms of both color temperature and color rendering. The more efficient high intensity compact fluorescent lamp or CFL lamps enabled fluorescent systems to be used for commercial, institutional, and industrial spaces with ceilings less than 15 feet high. Notwithstanding their advantages over HID and external ballast regulated fluorescent lamps, CFL lamps suffer from a number of limitations such low luminance, relatively short lifespan, shorter-wave ultraviolet (UV) emission, and poor compatibility with most dimmers, motion sensors, photocells and timers, etc. The lighting industry is moving away from energy intensive and low efficiency light sources. The development of solid state lighting technology and advances in optics and material science sparkled off a revolution in the high power lighting market. The introduction of light emitting diode (LED) lighting systems has driven an escalated incentive in lighting upgrade for commercial and industrial facilities. As is well-known, an LED is a semiconductor diode that emits narrow-spectrum light or electroluminescence by exciting electrons and holes across the biased p-n junction. The light efficiency, luminous efficacy and lumens per etendue unit for light emitting diodes are all superior to gas discharge lamps. LED lighting offers many advantages over HID light sources, including: lower energy consumption, higher photon flux efficacy, narrow-band light emission, improved robustness, longer operational lifetime, smaller size, faster switching, and superior flexibility in terms of assembly compared to conventional light sources. For facility managers, the cost of warehouse lighting has three components, the first (purchase and installation) costs, the lighting maintenance costs, and the cost of the electricity. While HID and fluorescent lamps have a relatively low purchase cost, their electricity and maintenance costs are high because of their poor energy efficiency, low luminous efficacy, limited operation life and proven system instability in extreme environment. Unlike traditional lighting, LED lighting features excellent durability and reliability, higher outputs at higher drive currents, superior controllability, and consistent performance in cold storage environments, making it particularly attractive for warehouse lighting applications. 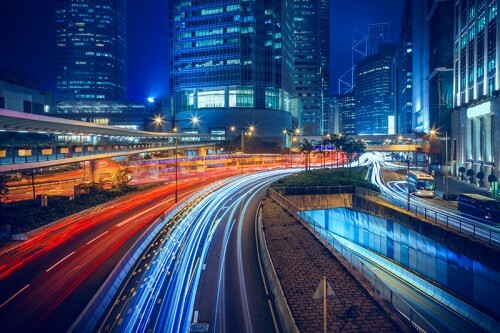 Reduced energy consumption and maintenance costs from the use of LEDs with their extended lifetime result in shorter payback times, which pays for the light retrofitting or upgrading over time. 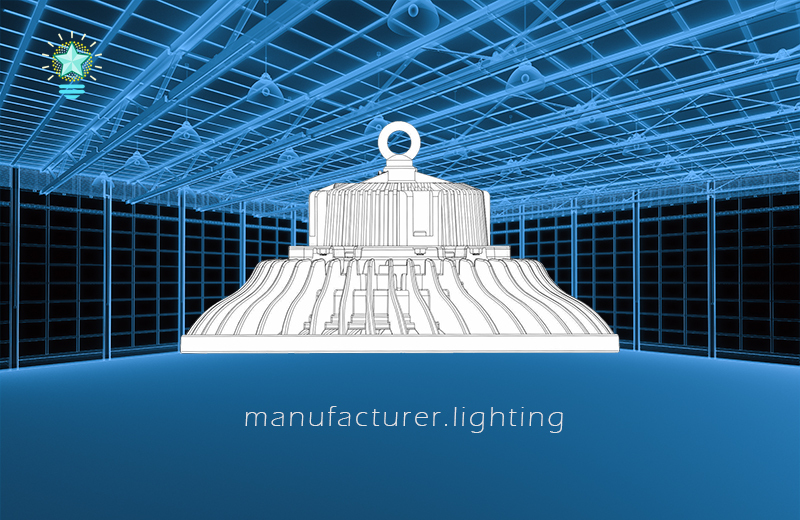 For most warehouse lighting applications, principal functions of an industrial light fixture are 1) to precisely control the distribution of emitted light to ensure consistent optical alignment and deliver repeatable photometric performance; 2) to aesthetically modify the appearance of light sources by providing an integral design based on the optoelectronic characteristics, which include thermal environment as know the performance of LED lighting is very dependent on junction temperature; 3) and to mechanically support the electrical and optical components and securely attach the luminaire to its support for rugged industrial applications. Round LED high bay lights are the most prevalent lighting fixtures for open storage warehouses and high bay industrial facilities. Although there's an inherent difference in the lighting technology, the commercialization of LED light fixtures started from being engineered in similar form factors with light fixtures that use traditional light sources. As such, traditional round LED high bays are reflector lamps that mimic the shapes of metal halide high bay lights which rely on reflectors to shape the beam patterns. The cons of round reflector type high bays are low optical efficiency because they use secondary optics and excessive physical volume as a result of using bulky reflectors and heat sinks. The entire fixture looks outdated and clumsy and does not accommodate modern architectural designs. Moreover, the large volumes of thin aluminum reflectors need to be packed separately with extra caution during transportation, which further adds to the shipping cost. Often called UFO LED high bay lights, modern high bay luminaires are low profile, durable, and styled to match modern commercial, retail and industrial environments. Precision-molded acrylic lenses of LED light engines are indexed to the circuit board to output optimized distributions, eliminating wasteful light from using secondary optics and providing optimal luminaire spacing and improved uniformity. 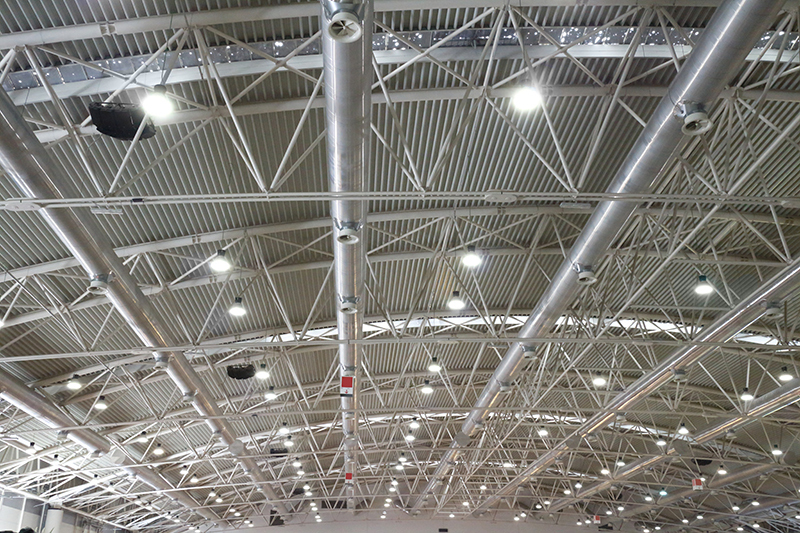 UFO high bay fixtures, with dust- and damp-proof designs, and electrostatically applied thermoset polyester finishes, are an excellent choice for use in harsh industrial applications where dirt and moisture are present. Unlike linear fluorescent high bays that use omnidirectional light output from fluorescent tubes, industrial-grade linear LED light fixtures provide a much more focused linear beam of illumination to cast the maximum amount of light where it's desired, which is perfect for low bay and high bay lighting applications in warehouses such as modern distribution centers and order fulfillment centers where the tall narrow aisles established by rack storage systems require relatively uniform vertical illuminances. Linear LED high bays were created to address the needs of illuminating high rack spaces with an intensity distribution appropriate to the aisle width and stack height. These highly configurable light fixtures feature specialized lenses with direct lambertian distribution that allow for outstanding optical control. The ceiling or pendant mounted LED linear fixtures are available with modular structure that makes it easy to connect a number of battens to each other for continuous-row lighting. An imperative consideration upon selecting an LED warehouse lighting fixture is its thermal management design. In LED operation heat is a byproduct of converting electricity into light which is a process of exciting opto-luminescent phosphors in response to an optical input energy. Phosphors that exhibit the phenomenon of luminescence tend to degrade over time due to exposure to accumulated heat. The optical performance and lifecycle of the LED light sources may be adversely affected by temperature. The level of light a typical LED outputs is determined by the amount of electrical current supplied to the LED. Most industrial lighting applications require a high luminous output, which is achieved by substantially increasing the drive current to the light sources. Hence, effective thermal management is critical in high power LED lighting systems. Although there're many thermal strategies to dissipate heat from LED junctions, nearly all LED warehouse lighting fixtures rely on passive cooling elements like heat sinks, and seldom employ the costly active cooling elements and heat transfer mechanisms such as fans, heat pipes, Peltier devices, and membronic cooling elements, etc. Heat sinks make use of materials with high thermal conductivity, typically aluminum and copper, to pass air over a heat dissipation surface directly routed to the heat generation source by way of convection. Heat sinks are usually a major part of the structure of LED warehouse luminaires e.g. a round LED high bay light, of which the luminaire form factor is largely dependent upon the heat sink design. The heat dissipation efficiency of an LED warehouse light is not solely dependent on the design, material and manufacturing process of the heat sink. The thermal performance of system design cannot be isolated as the heat transfer mechanism of the lighting fixture include many elements - the heat generated in LED junctions passes through of the semiconductor layers, to the heat slug and then to circuit board, subsequently to the electrically insulating thermal interface material (TIM), and finally to the external heat sinks. 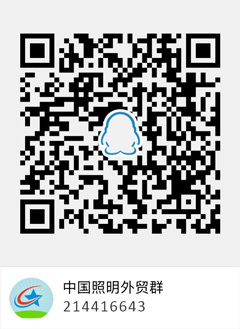 The need to transfer the thermal energy through so many routes may most likely reduces efficiency in cooling the LED chips if the thermal management assembly is poorly designed and/or there're performance issues or manufacturing defects in the thermal conductive elements. That being said, the capacity of a bucket depends on the shortest board. This is particularly true for high power LED warehouse lighting fixtures. The complexity of LED lighting systems is unprecedented when compared with HID lighting fixtures. 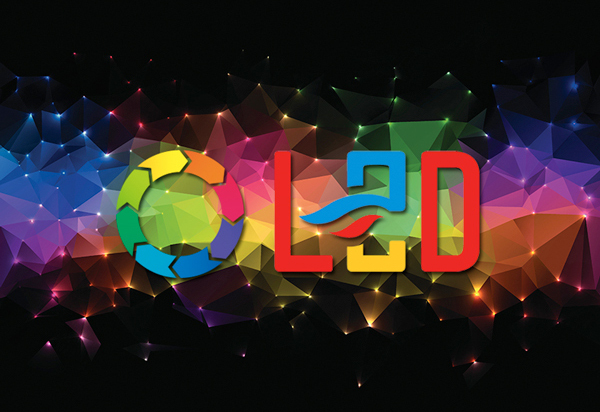 LEDs are optoelectronic light sources which means their operation involve the use of electronic circuits to ensure the consistent electrical-to-optical conversion. The electronic driver circuit is the weakest component that limits the lamp's lifecycle. At present, there exists a mismatch between the operational life of the LED light sources and LED drivers. High quality and long life LEDs can be powered with poorly designed driver circuits with the lowest reliability among all luminaire components, leading to a premature failure of the lighting system. To some extent, the quality assessment of an industrial LED luminaire inevitably starts from evaluating the reliability of its driver. Linear LED drivers or diver-on-board (DOB) designs have been developed in recent years to replace switching-mode power supplies that require a relatively large number of components, which increases the cost, instability and physical volume of the system. Linear LED drivers have advantages of simple design due to less parts count and immunity to electromagnetic interference (EMI). The simplified the electronic circuits reduce the manufacturing and maintaining costs. They're, however, are inefficient in energy use and vulnerable to electrical operating parameter variations in current surges or spikes, which might be more short-lived than switching-mode power supplies in harsh environments. Financial benefits of switching to LED lighting in warehouses and industrial facilities can be further multiplied owning to the excellent controllability of LED devices. With appropriately designed electronic control systems, LED lighting systems can be automated to effectively harvest daylight to reduce energy usage, flexibly adjust light intensity, or switch lights on and off at pre-designated times in pre-designated zones. Many conventional warehouse lighting solutions, especially HID lamps, have poor compatibility with advanced sensors and wireless controls. 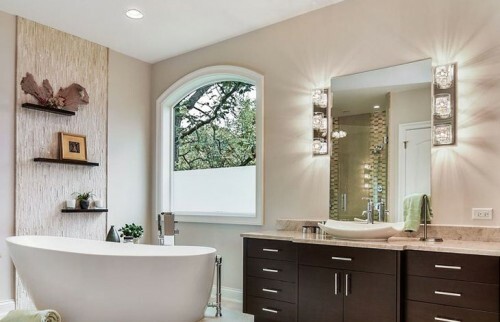 Dimming and integration with occupancy sensors and photoelectric controls offer LED lights superior advantages for increased energy efficiency and user satisfaction. Intelligent warehouse lighting systems take an integrated approach by communicating on a multitude of protocols over a variety of communication channels. Lighting control systems give budget-conscious industrial customers a reliable warehouse lighting solution to achieve exceptional levels of energy efficiency along with high-quality illumination and network control capabilities.